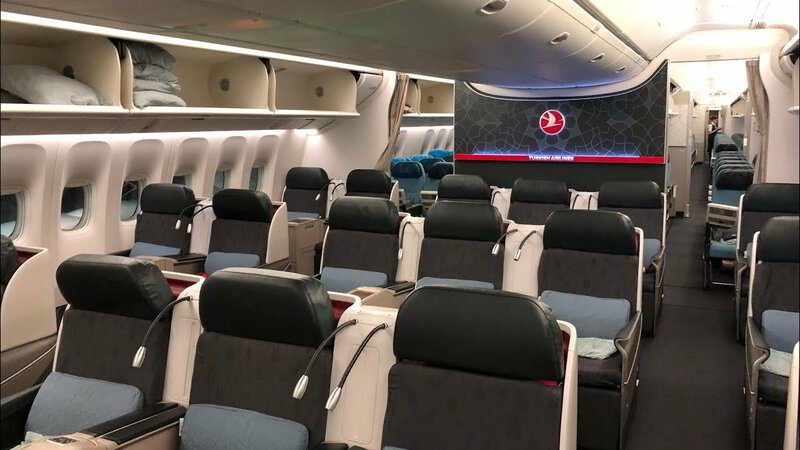 Business Class seating has been specially designed to take passenger comfort to the highest level, with special features such as in-chair massage, reading lamp, power supply, and the facility to screen off your own private area. 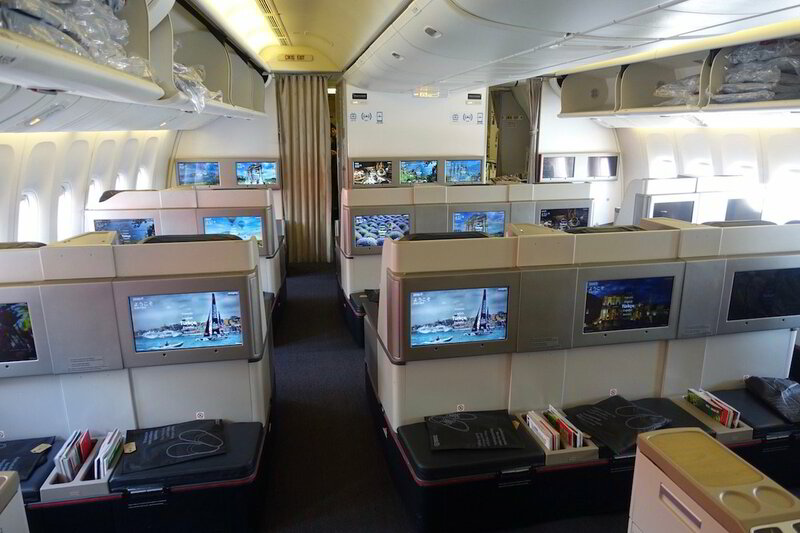 Business Class seating with in-chair massage features was specially designed to provide extra comfort on long journeys. Using the control panel on the seat, you can activate the massage feature at any time and help yourself relax during the journey. Fully lie-flat seats and complimentary pillows and blankets. Additionally, your amenity kit contains a selection of items you may find useful during the journey, such as an eye mask, earplugs, lip balm, and socks. 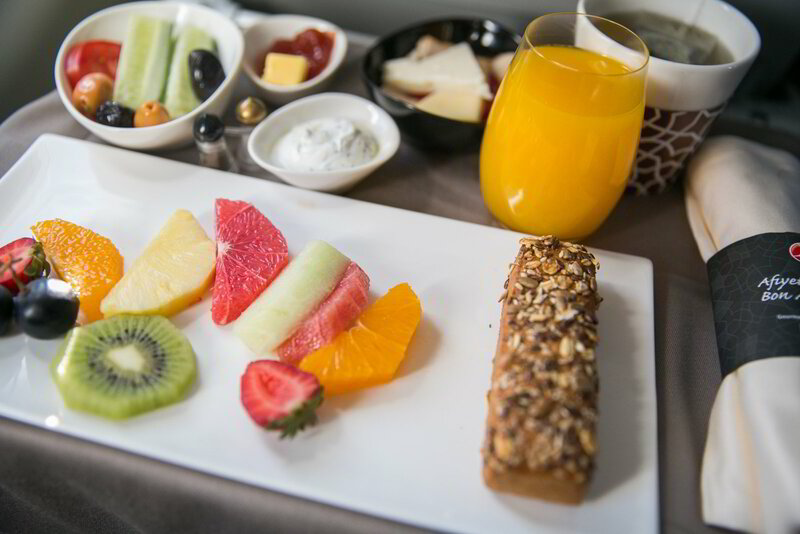 Throughout your comfortable journey in Business Class, flying chefs will present you with the finest examples of Turkish and world cuisine, served up on stylish porcelain tableware. 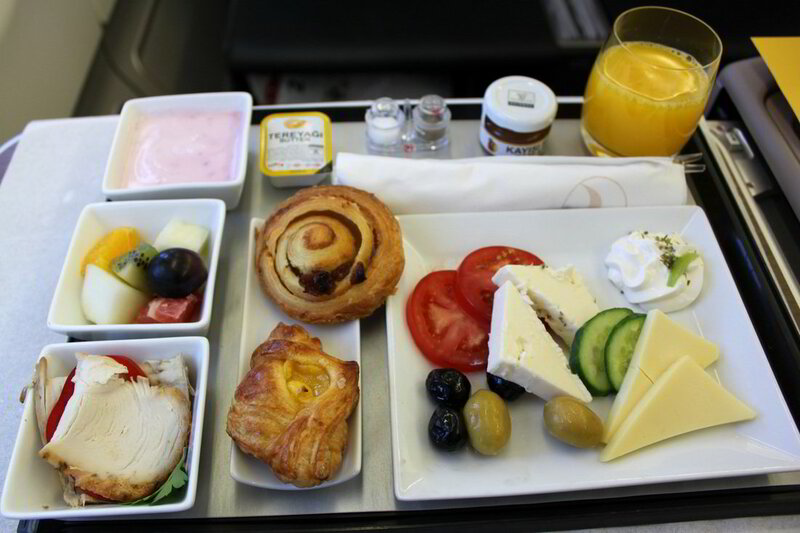 In Business Class, TK will make sure that your trip is also a journey of tastes, with their award-winning dining on board service, which was voted the Skytrax World’s Best Business Class Airline Catering and is prepared by Turkish Do&Co. As you wait for your flight departure, you can make use of the massage service, sample some of the dishes that won the Skytrax Best Business Class Lounge Dining award or entertain yourself and your children with one of their many entertainment options, including cinema, video games, media screens, golf simulator, and children’s playroom. 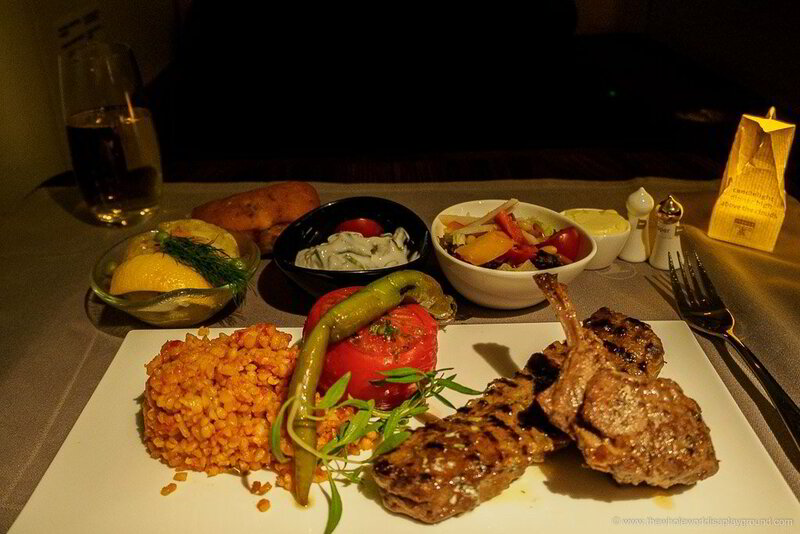 SimplyBusinessClass.com can save you up to 50% off your business class flights with Turkish Airlines. Call now or submit our flight request form to receive a free quote.